Making history and making us cry. Domee Shi, a Chinese-Canadian who grew up in Toronto, is the first woman to direct an animated short for Pixar. And the short is about dumplings! OK, maybe that last one was just us. But the excitement turned into pride for many Asian-Canadians with news that "Bao" is directed by Domee Shi, who grew up in Toronto. The seven-and-half minute film will be released as the appetizer to the studio's major summer release of "Incredibles 2" on June 15. Not only is that a big achievement, but Shi has also made Pixar history as the first woman director of an animated short. The film is based loosely her experiences as a child of Chinese immigrants in Canada. Shi came to Toronto from China with her family when she was two, according to The Disney blog. She grew up in the North York area, completed Sheridan College's well-regarded Animation program, and went on to intern at Pixar Animation Studios in California. Shi was hired on after her internship and her first film credit was for the hit animated film "Inside Out." No big deal. Entertainment Weekly released two exclusive images from the short on Friday. The animator, who now lives in Oakland, Calif. drew on her relationship with her mom as inspiration for the short, according to EW. "Often times it felt like my mom would treat me like a precious little dumpling, wanting to make sure I was safe, that I didn't go out late, all that stuff," Shi said. "I just wanted to create this magical, modern-day fairy tale, kind of like a Chinese Gingerbread Man story." She explained that depending on how you pronounce it, "bao" can mean "steamed bun" or something precious." 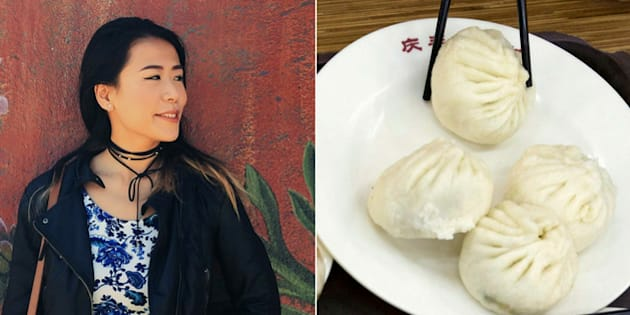 Shi's mom also took part in the production of the film, according to EW, serving as a cultural consultant and providing detailed demonstrations of how to make perfect dumplings, which were filmed and used as reference. Shi called her mother a "dumpling master." STOP IT PIXAR, I AM ONLY NOW RECOVERING FROM COCO AND NOW YOU GIVE ME THIS ASIAN DIASPORA SHORT ABOUT A HEARTBROKEN MOTHER AND DUMPLINGS, WHAT ARE YOU TRYING TO DO, KILL ME? So as we wait for "Bao"'s release, we say get your fill of your favourite dumplings in the meantime to prepare.